Timberville firefighters contain a barn fire on Brannertown Lane south of Forestville. 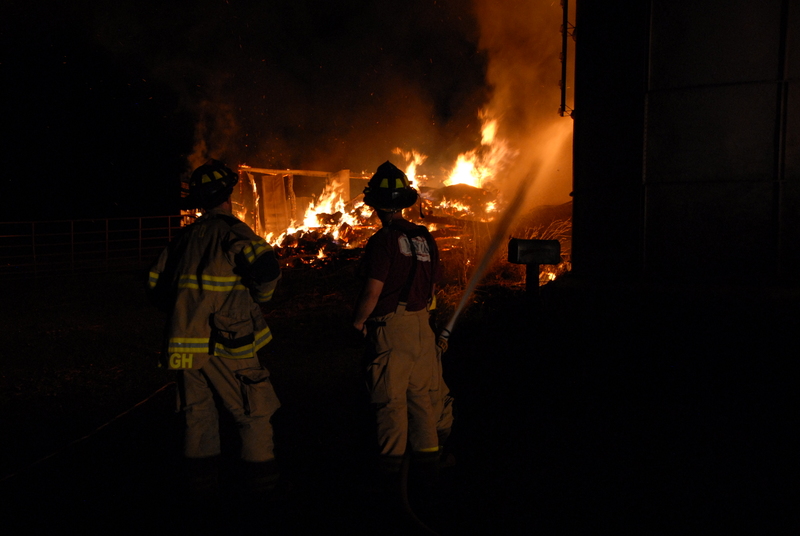 July 27, 2014; 8:15 p.m.
QUICKSBURG, VA—Fire claimed a barn on Brannertown Lane early on Sunday morning, July 27. No animals were in or around the building. 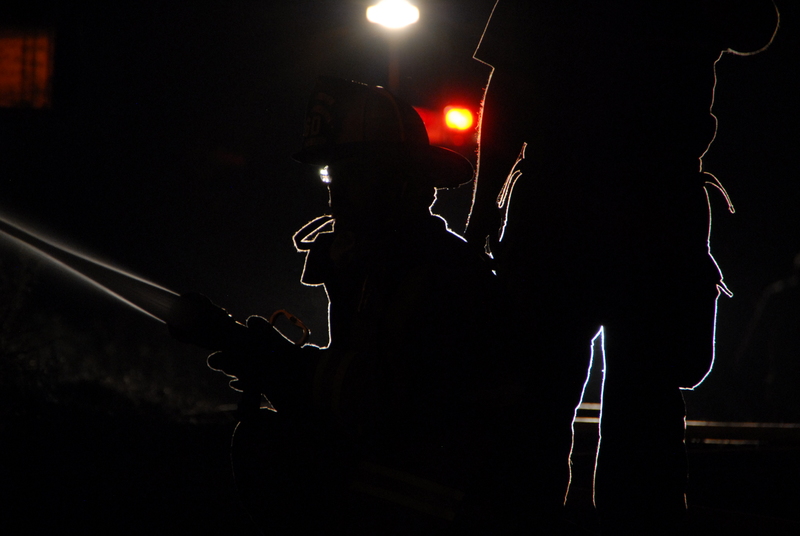 Timberville firefighters are silhouetted by headlights as they contain a barn fire on Brannertown Lane south of Forestville. When firefighters from Timberville Volunteer Fire Department arrived, fire had already taken control of the building. The firefighters focused on protecting nearby outbuildings, and the fire was contained to the barn, which contained hay and a tractor. Crews let the fire burn itself out as rain moved into the area. There were no injuries in the fire, which was dispatched at 1:16 a.m. The cause of the fire is under investigation. Fire and rescue units from Timberville, New Market, Mount Jackson, Broadway, and Orkney Springs responded to the blaze, along with Shenandoah County Department of Fire and Rescue. This entry was posted in Structure fire and tagged Co. 10, Co. 21, Co. 23, Co. 50 (Rockingham), Co. 60 (Rockingham), fire, structure fire. Bookmark the permalink.